Israel's High Court of Justice rejected two petitions against the Israeli army's use of live ammunition last week to quell a Gaza protest, in which 59 Palestinians died. The three-judge panel unanimously sided with the army in responding to the petition brought by human rights groups. The court said it does not normally intervene in such cases but concluded that it trusted the government's assurance that live fire is only used as a last resort and in self-defense. At seven weekly demonstrations beginning on March 30 at the Gaza-Israel border, Israeli troops protecting the border used live ammunition to keep Palestinians from entering Israel though wire fences along the border. Some Palestinians at the demonstration used gasoline bombs, thrown rocks and burning kites against the troops. About 10,000 demonstrators took part in the final demonstration on May 11. 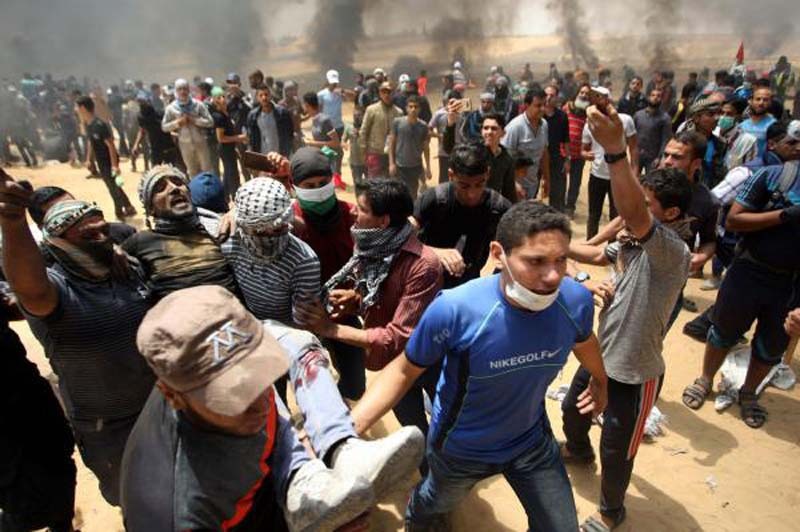 The Gaza health ministry reported 113 deaths and nearly 12,000 injuries in the seven protests.. Nearly 3,600 were victims of live ammunition, including journalists and paramedics. "Some of the rioters have tried to trample or break through the border fence, creating a clear and present danger that terrorists will penetrate into the state's territory, and this is happening in areas near towns on the Israeli side," wrote Justice Hanan Melcer in Thursday's decision. "Among the rioters were some who threw rocks and firebombs at Israeli troops. Therefore, it seems that gunfire was employed to achieve a legal purpose - defending citizens of the state and Israeli soldiers." A statement from two human rights groups on Friday was critical of the decision. "The Israeli Supreme Court completely ignored the broad factual basis presented to it by the petitioners, which includes multiple testimonies of wounded and reports of international organizations involved in documenting the killing and wounding of unarmed protesters in Gaza," said a joint statement by Adalah - The Legal Center for Arab Minority Rights in Israel, and Al Mezan Center for Human Rights. It added that the court "refused to watch video clips documenting Israeli shootings of demonstrators and, rather than actually examining the case, fully accepted the claims presented to it by the state. The extreme nature of the ruling is also highlighted by the striking absence of any mention of the casualty figures that had been presented to the court."